What is this? A Chevy S10. What makes it so special? It’s electric. 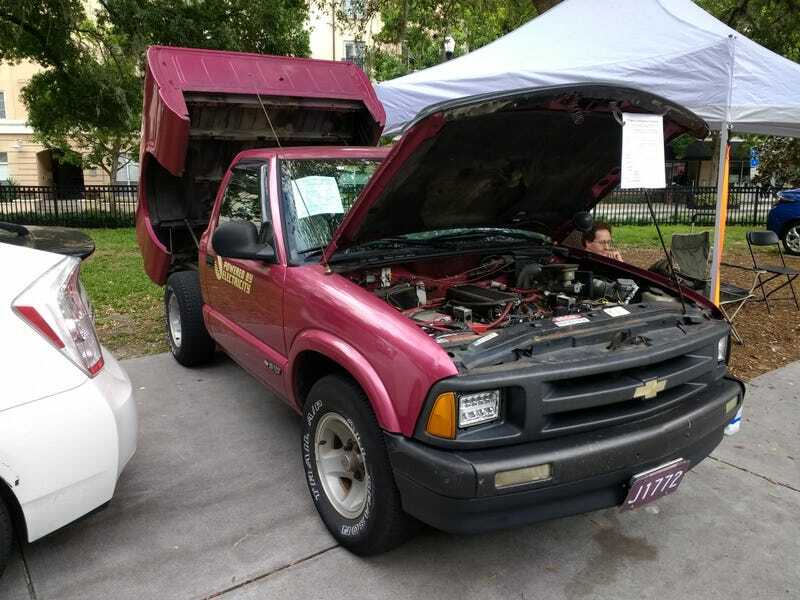 This is a (sort of) short story about a guy who needed an electric pickup and when there wasn’t one on the market, he made one. All by himself. The grand total cost was about $5,000, but he said it took a lot of time up. And yes, he did it all by himself. I think this is a really cool thing he did, even better that it has a stick even if he doesn’t shift much. And the fact that he did this all alone is pretty badass. I pointed him towards Oppositelock and told him to make a burner and post about it, and he said he’ll give it a shot. Hopefully we see him on here, but for now he’s given his number for you to contact with any questions (on the spec sheet). That is all. Resume shitposting.